Zermelo published two proofs of CBT. The first in 1901, in his first paper on set theory, we review in detail in this chapter. 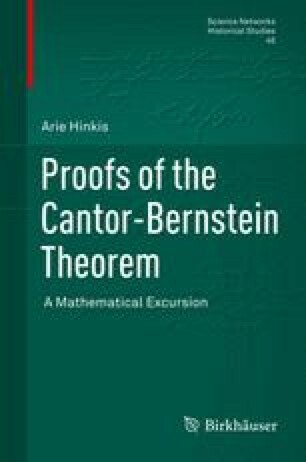 The second in 1908, in the paper where Zermelo first presented his axiomatic set theory, we review in Chap. 23.